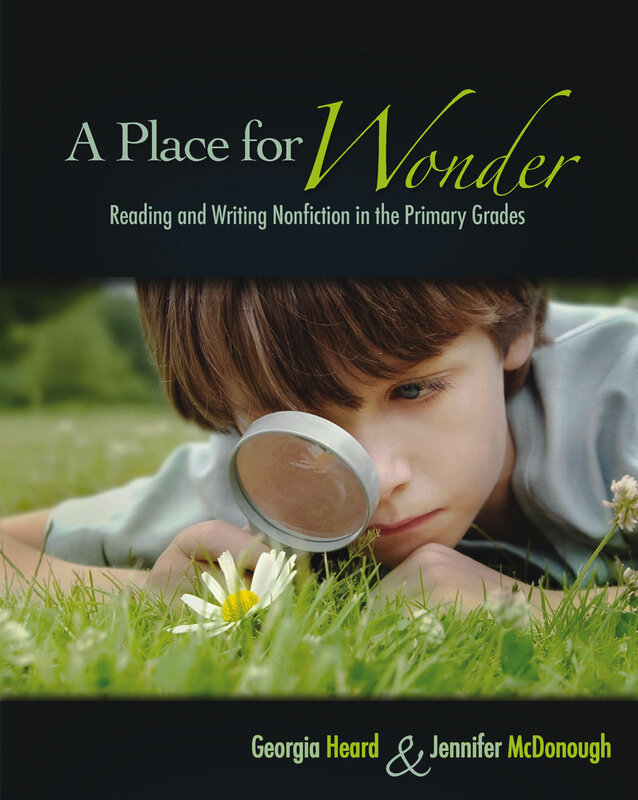 In A Place for Wonder, Georgia Heard and Jennifer McDonough discuss how to create "a landscape of wonder," a primary classroom where curiosity, creativity, and exploration are encouraged. For it is these characteristics, the authors write, that develop intelligent, inquiring, life-long learners. The authors' research shows that many primary-grade state standards encourage teaching for understanding, critical thinking, creativity, and question asking, and promote the development of children who have the attributes of inventiveness, curiosity, engagement, imagination, and creativity. With these goals in mind, Georgia and Jennifer provide teachers with numerous, practical ways—setting up "wonder centers," gathering data though senses, teaching nonfiction craft—they can create a classroom environment where students' questions and observations are part of daily work. They also present a step-by-step guide to planning a nonfiction reading and writing unit of study—creating a nonfiction book, which includes creating a table of contents, writing focused chapters, using "wow" words, and developing point of view. A Place for Wonder will help teachers reclaim their classrooms as a place where true learning is the norm.